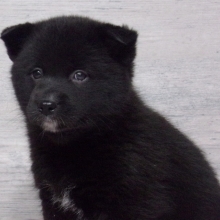 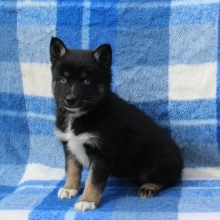 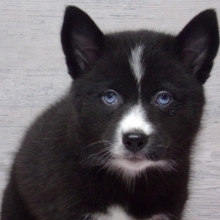 This Pomeranian – Siberian Husky cross has rapidly popularity in recent years. 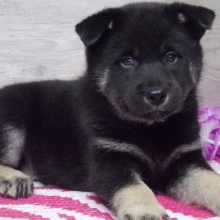 Usually active and energetic, this breed tends to be highly intelligent, loving, playful and self-assured. 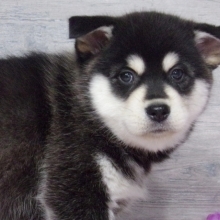 Pomskies can also make great guard dogs, like both of their parent breeds. 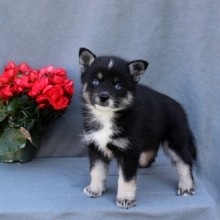 The appearance and size of a Pomsky can vary greatly, but very often they look like miniature huskies.